Palm Beach. 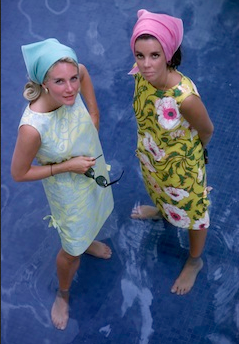 Just the word has always held a high amount of both glamour and mystery.Now, the playground of the rich and famous is revealed in the new book,In the Spirit of Palm Beach by Pamela Fiori, published by Assouline this month. Let’s face it… if there is one resort community in America that exemplifies enormous wealth, unparalleled exclusivity, and pure extravagance, it is without a doubt Palm Beach. Palm Beach through the eyes of Pamela Fiori is a glorious way to experience a fascinating array of cultural venues, sample the culinary masterworks of celebrity chef–owned restaurants, play on world-class golf courses, and take in one of dozens of internationally renowned destination events without ever having to leave your home. And then some. “Palm Beach ‘musts’: No socks. Sweaters over shoulders. 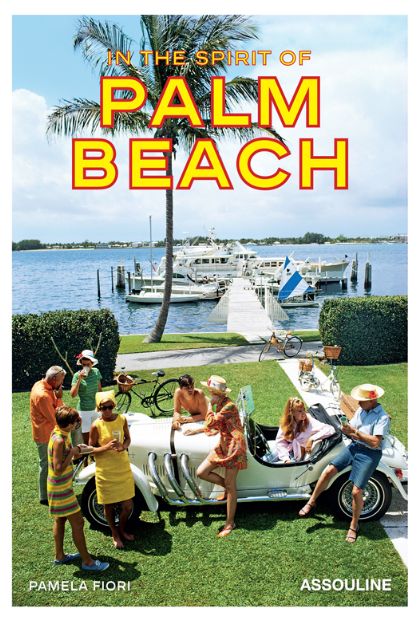 Created as a luxury vacation destination in southern Florida for the rich and famous in the early 1900s, Palm Beach became synonymous with old-world glamour and new-world sophistication. This breathtakingly beautiful resort community—though elite and exclusive—can be truly hospitable to tourists, especially in hotels, restaurants, and shops. At The Breakers, Palm Beach’s oldest existing and most esteemed hotel, the staff is unfailingly friendly. Go into any restaurant and you’ll feel welcome; stroll down almost any street and people will give you a neighborly “hello.” Pamela Fiori takes you on a tour through this tiny, multilayered island to find the fun in (and out of) the sun. In this exciting new book, longtime visitor Pamela Fiori, along with others who visit and live there, shares with readers the heritage of this tropical paradise. From its world-renowned hotels, dreamy estates, and fancy cars to its endless shopping opportunities and impeccable golf courses, In the Spirit of Palm Beach presents a full spectrum of everything the island can offer.It is an insider’s guide featuring Fiori’s selection of hotels, restaurants, bars, and shops completes the book.